The second season of Fox’s The Gifted kicks off today with the Mutant Underground and the resurgent Hellfire Club both vying for power and freedom. The struggles of the new Brotherhood of Mutants and the X-Men played out on the smaller screen tonight in an explosive season premiere and we’re excited to see just where the series is going to take us. The Struckers, the divided underground, and the new players are going to have to contend with each other and a world that both hates and fears them. Yet hope remains, as Dawn — a child of both factions — was successfully brought into the world. According to showrunner Matt Nix, the challenges for the characters may go even deeper for our favorite characters. We sat down with Matt to discuss the show, the divisions in the family (did anyone catch how even the Strucker parents seem to be divided?) as well as the show’s efforts to create a diverse universe both on and off camera. 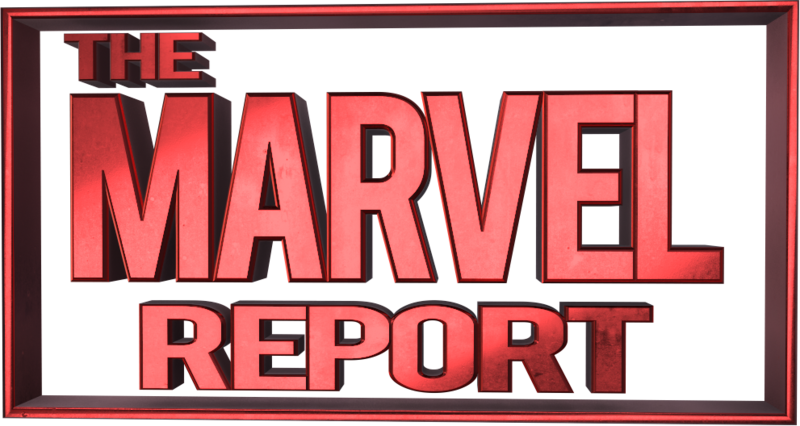 The Marvel Report: What do you think of the direction this season is going? Matt Nix: I am unreasonably excited about this season. It is, in a way – I’m really excited about the first episode but the first episode doesn’t get to do what we’re doing over the course of the season. One of the things I’m most excited about this season is really deep dives into the characters which you don’t get to see a lot of in the first episode. I noticed there’s a lot of tension between the characters. There’s a lot of tension between Reed and Caitlyn and Lauren and Caitlyn. Will they be tested? Super tested! Way way tested. All of the relationships on the show are going to be tested. One big thing we started on this show, in the writer prep for this show we went through, we asked “what is everyone’s specific relationship to everyone else on the show?” A lot of what we’re doing this season is going to be mining those tensions and really playing them out. Let’s talk about some of the newer characters this season. What can you tell us about our new big bad(?) this season? What I really like about Reeva Payge is that she really believes in what she’s doing. There’s a long history in superhero fare of bad guys who talk a big game but they’re in it for themselves. When I was growing up I always hated when a supervillain was like “I wanted to get a lot of money to purchase goods and services.” Why do you need money man? What are you doing? I really like when villains are operating out of love. Reeva Payge would kill anyone who got in her way for the people she cares about. She’s an amazing ally, and she’s the worst enemy you could possibly have. This season we delve into her past. She started in a really interesting place for a villain and you’ll get to see that this season. What kind of writers room have you put together? Do you guys have a diverse writers room that can tackle all those issues? We have a diverse writers room and I think that – it’s funny. When you’re talking about Reed’s story conversion therapy comes up in a lot in X-Men. What’s been interesting in having that kind of a writer’s room. People don’t just contribute in their lane, when you get in the mix. That you’re the expert in this and that brings up my own experience with it. We have a very collaborative process. Let’s talk for a second about Marcos and Lorna. Their relationship has been tested the most. Eclaris has been tested the most. What’s ahead for Eclaris? What’s ahead for Thunderblink? I’d say worry about everybody [chuckles] but in the context of “We’re a show…” On the one hand I would say worry a lot. On the other, bear in mind we love our characters and we don’t want them to be miserable forever. Doing that well, to me, means finding the tensions that are evergreen. That we can use to dig out those relationships. It’s hard not to talk politics when dealing with shows like The Gifted. Has politics influenced the show at all this season? Hugely. The big thing this season is all about the country getting completely polarized around an issue. It’s a series of issues really. What you’re going to see is that accelerating and exploring whose interest does that serve? When polarization like that happens who wants it to happen? Why do they want it to happen? What does that do? The other thing is really exploring the idea that people can have different visions for society. Just because you find other people’s visions for a society different doesn’t mean they’re wrong. It’s like, just because a person believes that a nation without immigrants would be a bad idea. I mean they wouldn’t be wrong, but how does that affect people? That’s what we need to think about. Let’s talk about Coby Bell’s arc this season. I love Coby Bell’s arc this season. His character gets involved with the purifiers, an anti-mutant hate group, like real world hate groups. We made the decision that our version of the X-Men universe where there are also hate groups like the KKK. In the first episode you can see when Reeva talks about being descriminated for the color of her skin but also for her powers. We’re introducing the Morlocks this season and with all these groups, over the course of this season – one of the things that was important to me to explore. How does a human being get involved with a hate group? That’s what we want to explore. One last question! Do you have any comics that you read to get prepared for the show? Anything you’d recommend people read? It sounds like this season will continue the pace set up in the premiere. Are you excited to see it? Do you have any thoughts about the direction they’re going in and the choices they’re making? Sound off and share your thoughts in the comments below.